Hi, my name is Ann. How may I help you today?” The user asks a question using the website’s Live Chat feature and ‘Ann’ provides an instant reply. She then asks if she has given the correct information and whether the user would like any other assistance. Ann is in fact a bot deployed by the website to communicate with users. Generally, a chatbot is a software that responds to queries in a natural and human-like way. It is powered by rules, artificial intelligence (AI), machine learning (ML) and natural language processing (NLP) to perform its tasks. Today, a growing number of businesses are leveraging the use of chatbots as they are able to decrease friction between service providers and customers. 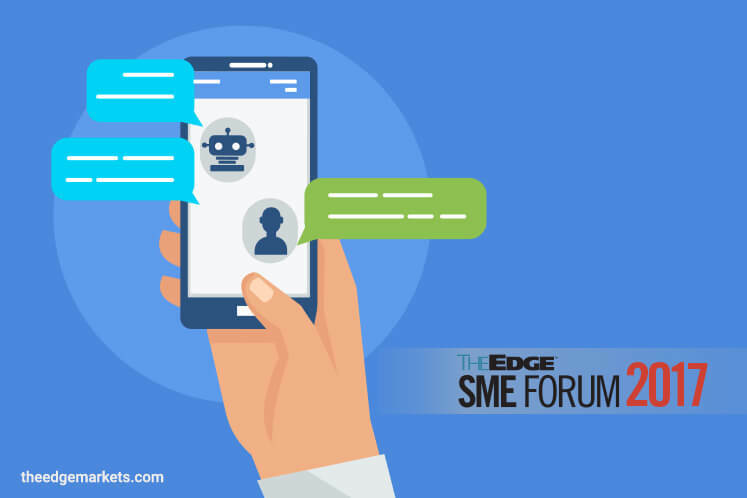 According to Rajnish Khare, head of digital transformation, social business, new media and mobility banking at India-based HDFC Bank, chatbots are filling the gap between intensive customer demand and lack of human capital in the current business environment. “Customer service is becoming really fast-paced. Consumers want their questions answered immediately. If the company fails to provide the attention the customer is seeking, he could quickly opt for one of its competitors. With the use of chatbots, companies have taken their side of customer interaction and interface to another level,” says Khare. Best of all, chatbots do not discriminate. “On top of all this, they can be programmed to fit the right customer experience. So, companies that have not already done so should consider deploying bots to deal with customer service,” says Vic. To extract the full value from the technology, companies should look for a correct balance of bots and human capital in its operations, says Khare. He adds that if the intelligence and predictive capabilities of chatbots are further enhanced, they can be adapted to drive some of the most complex processes in a number of industries. The best chatbot experience is seamless, where the bot fulfils different tasks in one conversation. While simple chatbots are able to answer frequently asked questions (FAQs), more complex bots are able to understand and fulfil more uncommon requests such as giving directions or turning on the lights in a particular room. Meanwhile, NLP is the ability of a computer programme to understand human speech as it is naturally spoken. According to Dr Mazlan Abbas, CEO and co-founder of Favoriot, which specialises in the Internet of Things (IoT), the development of NLP applications had been challenging as computers traditionally required humans to speak to them in a precise, unambiguous and highly structured programming language. IBM, for example, provides a 30-day trial for its cloud platform IBM Bluemix. Users gain access to an array of products and services, including the Watson application programming interface, which allows businesses to add AI to their apps, says Zainal Azman Shaari, leader of C&SI & Security PMR and EcoD Strategic Initiative at IBM Malaysia. There are many examples of chatbots adding value to particular businesses. India-based Niki, for example, provides a simple and easy-to-use interface for its consumers. The AI enables users to search, discover, choose, make payments and even complete a transaction in one simple interaction. In Singapore, insurance technology (insurtech) company PolicyPal uses an AI chatbot to simplify and digitalise insurance transactions. Users are able to speak with ‘Kate’, its digital insurance manager, to find out their protection needs before purchasing coverage. Coupled with other technologies that PolicyPal uses in its operations, Kate not only answers commonly asked questions regarding insurance but also automates the sales processes on the platform. Chatbots and conversational AI will become the predominant interface for customer queries and solutions to ubiquitous issues, says Khare. This will be amplified as more companies are embedding personalities into the chatbots.